© Alesha Friestrom. All rights reserved. These are four baby robins who have grown to an impressive size, yet were not ready to completely leave their nest. 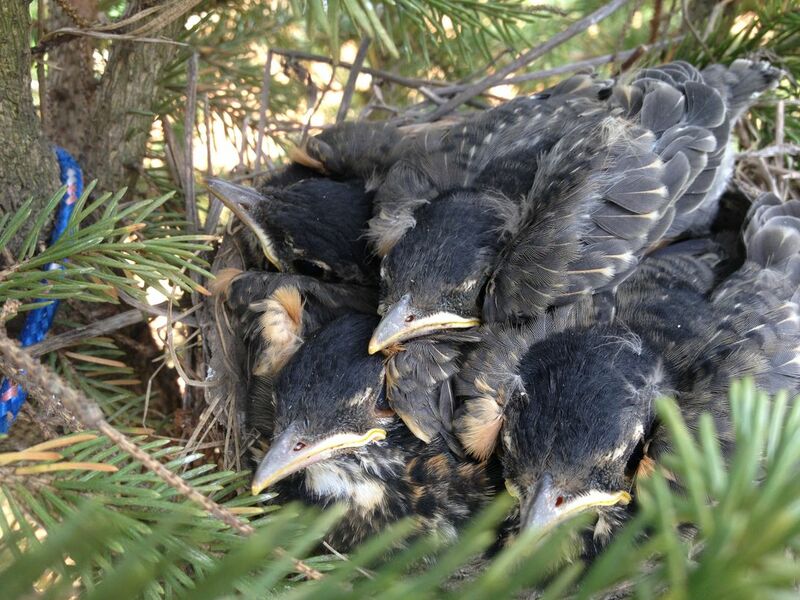 They were laid in a nest in a small pine tree. The nest was later reused for a smaller amount baby robins. Date Uploaded: Sept. 30, 2015, 12:25 a.m.